This on-trend set of concrete people makes the perfect gift for a family. 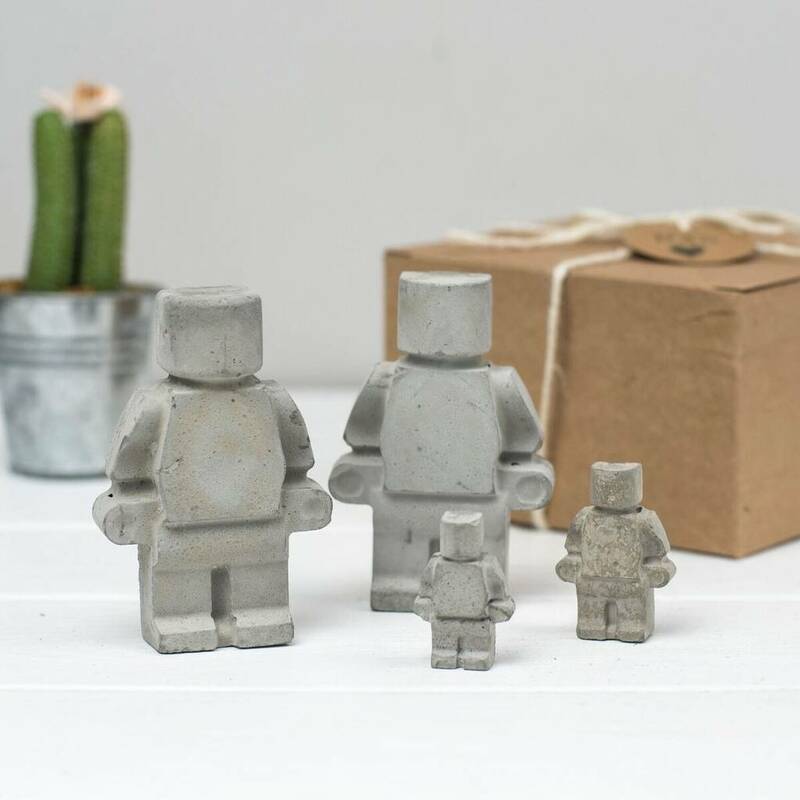 With an industrial feel and modern design, the gift set comes with two concrete people included. Using the dropdown menu, add other family members in different sizes - you can even include the dog! 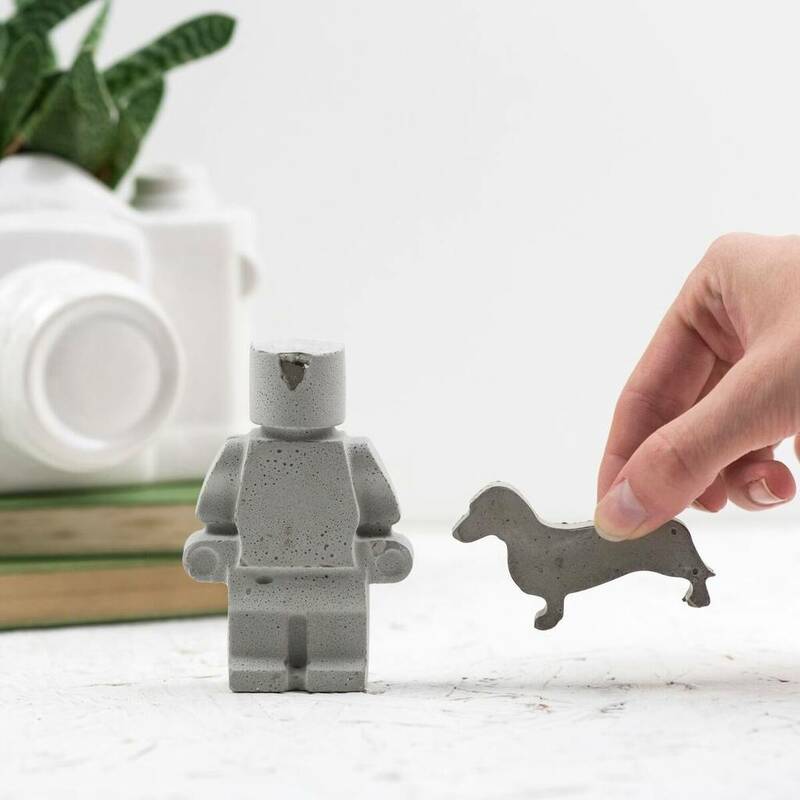 The concrete people are painted on the front and sides with a copper, yellow or blue stripe, giving them a playful, industrial feel. Every figure is flat on the back, making them ideal to stand on a shelf against a wall, and contain beautiful air bubbles and colour variations that make each one unique. 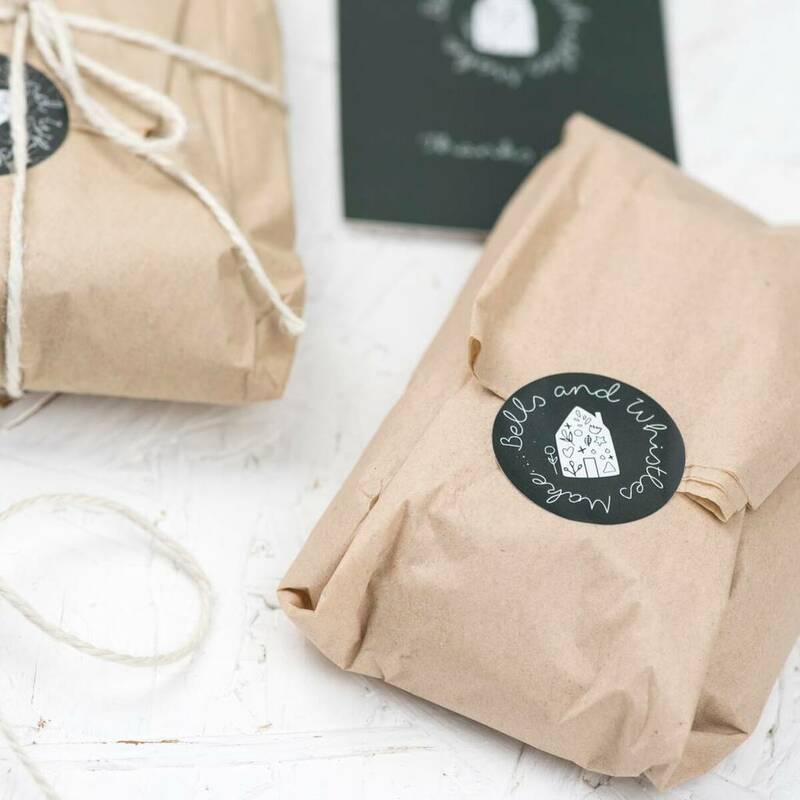 The set is packaged and ready to gift in a rustic brown box tied with blond twine, finished with a hand printed tag. 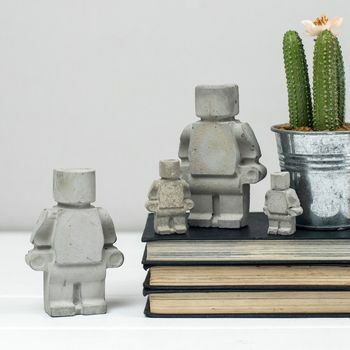 A great gift for any family that adds a quirky edge to a modern interior. 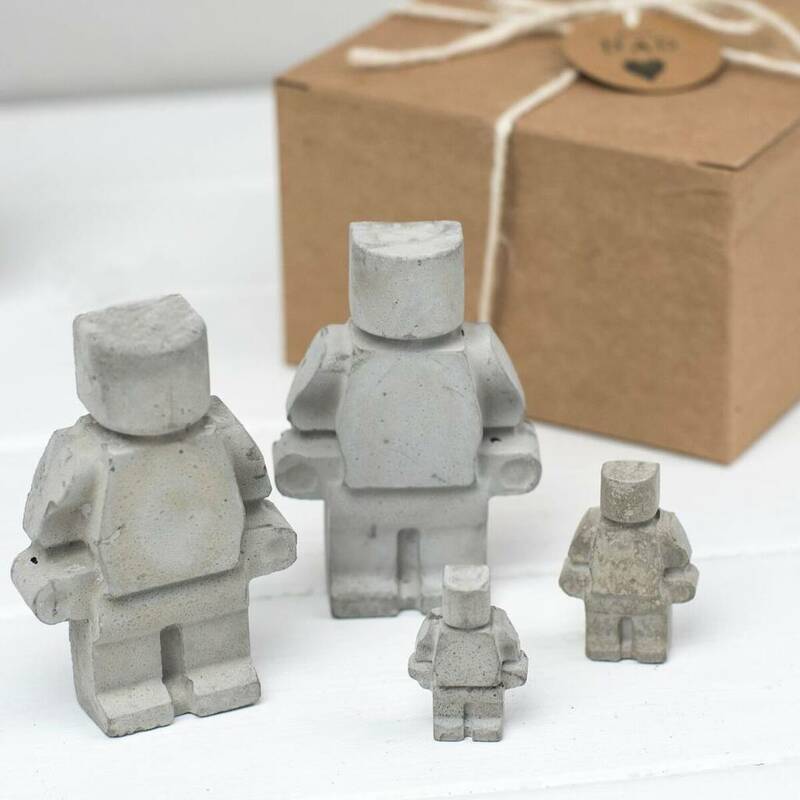 Available in raw concrete, the set includes 2 large men gift wraped in a natural brown box with a hand printed tag. 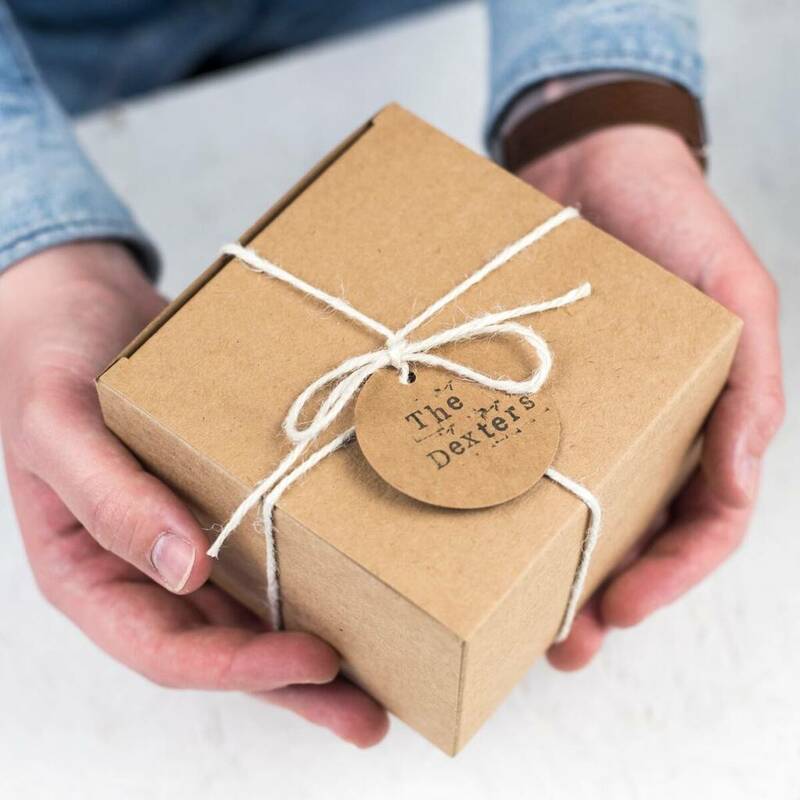 This product is dispatched to you by Bells and Whistles Make.